To obtain the book, you may fill out the order form and send it directly to the editor. Currently available solely in French. In collaboration with Marlyse Thommen-Strasser, Lidia Miani, Bernadette Huger, Yves Berthelot, Claude Baehrel and Éric Sottas. Preface by Guy Aurenche, president of CCFD-Terre solidaire. Postscript by Yves Berthelot, president of the Centre Lebret-Irfed. This book, beginning with accounts from women and men from different horizons and parts of the word, is not just a tribute to an activist of international solidarity. It also, and above all, bears initiatives, intuitions, innovations, and hopes likely to contribute to the fight for the liberation of people today. Sergio Regazzoni was, in fact, a pioneer within the domain of human development. Faced with globalization, he quickly understood that one of the keys of development and of the advancement of solidarity between peoples rests on the emergence of networks of international exchange. His attention to others and his acute sense of dialogue permitted him to initiate and create networks of exchange and sharing between people of different cultures and religions across the world. Thanks to him, Buddhists, Muslims, Hindus, Christians, and agnostics could meet and engage in a dialogue made indispensable in the face of increasing intolerances and fanaticisms. Originating in Switzerland, Sergio passed away in July 2009 at the age of 65. Very young, he participated in Young Christian Worker (la Jeunesse ouvrière chrétienne JOC) at a local and national level in Switzerlnd and, following that, at a European and international level (JOCI). From 1984 to 1994, responsible of relations with Asian and Pacific populations, within the Catholic Committee Against Hunger and for Development (le Comité catholique contre la faim et pour le développement CCFD-France), he stood up for his convictions for the defence of the rights of Vietnam, Cambodia, Laos, Indonesia, and East Timor populations. He was also, beginning in 1986, the initiator of relations with China which, at the time, would not allow any form of cooperation with foreign NGOs. 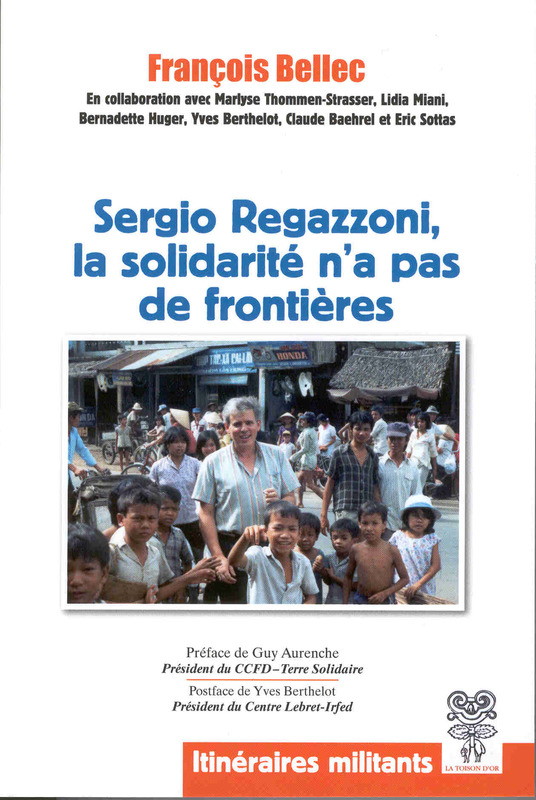 From 1994 to 2007, Sergio assumed the responsibility of director of Centre Lebret at Paris, an organization of applied research that runs an international network of exchange between actors of development. His spirit of openness and of listening brought him to cooperate with diverse peoples, no matter their ideological, political, cultural or religious affiliations.